Our security agency has been using Chronotek for about a year now and for the most part it does exactly what we need. I know I said its almost perfect and only gave it 3 stars and this is why! My biggest issue with the system is that it is not very mobile phone friendly and there is no smartphone app! As the owner when I log into the system from my IPhone browser I do not have full function of the program like I do using my office computer. When logged in from my IPhone the pages do not load properly and the features are limited. To me, a product that is marketed as being "mobile" and not having fully functioning apps for my cell phone is mind boggling? Shouldn't that be a major concern for all users? I spend most of my time out in the field and life would be much easier if this product was completely compatible with my phone! Chronotek's easy pricing policy requires no upfront costs- there is no hardware to buy, and no expensive installation fees. Thefirst 30 days are free, giving customers the opportunity to learn and fully understand the system before paying a penny. After the free trial, pay only for employees who clock in and out within a month's time. Pay $5/month/employee + $14 monthly access fee. For customers who have high turnover rates, we offer per-punch pricing. Voice Verification To Prevent "Buddy Punching"
Scheduling software to prevent early clock in with alerts for missed job schedules. Proprietary GPS technology to report employee location with a daily map to show all details. IVR technology captures caller ID for location verification from site phones, time stamp and voice recording. Live dashboards report employees on the clock, time on the clock, color-coded chart of location verification, and total of hours by work week. Communication between employees and management with voicemail and in-app messages. Easy for employees to clock in and out by mobile app, phone call, or web clock. Below are some frequently asked questions for Chronotek. Q. What type of pricing plans does Chronotek offer? Q. Who are the typical users of Chronotek? Q. What languages does Chronotek support? Q. 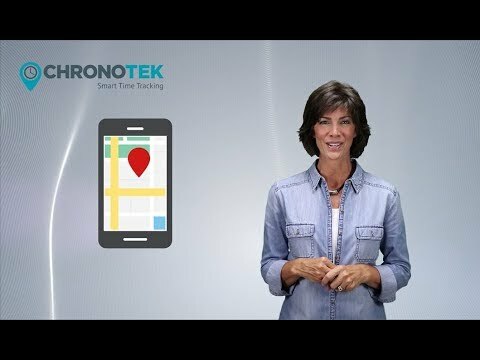 Does Chronotek support mobile devices? Q. Does Chronotek offer an API? No, Chronotek does not have an API available. Q. What other apps does Chronotek integrate with? Q. What level of support does Chronotek offer? Q. Which apps is Chronotek compared to most often?